It is customary to perform Hataras Nedarim on Erev Rosh Hashanah. This is hinted to in the verse “Lo Yachel Divaro Kichol” “Do not transgress your word” as its ending letters are an acronym for Elul. The procedure of this Hataras Nedarim includes two parts 1) nullifying one’s previous vows [i.e. Hataras Nedarim] and 2) stipulating on the future vows of the coming year [Modaah]. 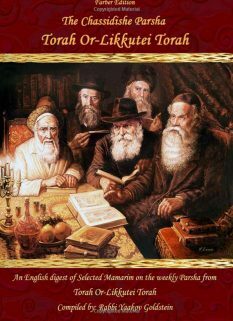 Being an expert in the laws: It is proper for every person to review the laws of vows prior to performing Hataras Nedarim as there are many vows that cannot be revoked. One is not to be accustomed in making vows. One who makes a vow, even if he fulfills it, is called a Rasha and a sinner. One who makes a vow is considered like one who built a Bama at a time that building Bamos are forbidden. One who fulfills the vow is considered as if he has brought a sacrifice on a Bama altar, as it is better to revoke the vow through a sage then to fulfill it. One is to avoid swearing even regarding truthful matters. Yanai the king had 1000 cities destroyed due to swearing even though he fulfilled his word. One who is not careful regarding vows and swears causes death to his wife and young children. Every person is to accustom himself to recite Beli Neder upon giving his word for something. This applies even when pledging charity and the like. One who stated [without saying Beli Neder] that he will give a donation to a Shul [or their charity organization] is not to delay its payment. An angel is created from the promised donation and awaits its payment. The angel’s wrath is provoked if the payment is delayed. One is Halachicly obligated to pay the Shul immediately upon the Gabai requesting payment. One who delays payment after this request transgresses the prohibition of “Baal Tiacher”. 4. Are women to perform Hataras Nedarim? Women do not say Hataras Nedarim on Erev Rosh Hashanah. This is primarily due to reasons of Tznius. Appointing the husband as an emissary: One’s wife may appoint her husband to nullify the vows for her, having the husband mention this during the annulment. Some write it is proper to do so on Erev Rosh Hashanah in order so the wife also benefits from Hataras Nedarim. In such a case the husband is to tell the tribunal that he is annulling the vows also on behalf of his wife and in return the tribunal is to answer him in plural tense “Hakol Mutarim Lachem”. No other woman may appoint a man as an emissary to nullify vows for her before a court, and rather she must do so herself. See “General laws of revoking vows” for further details of a husband serving as an emissary for his wife. 5. Are children to perform Hataras Nedarim? No. 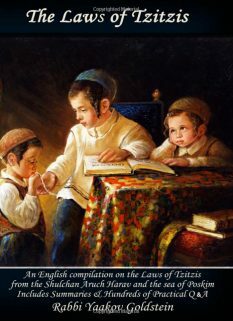 Children do not perform Hataras Nedarim until they reach the age of Bar Mitzvah. 6. 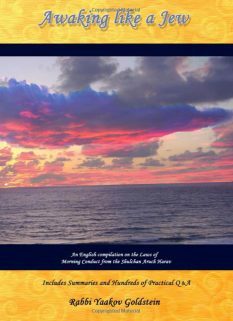 May one perform Hataras Nedarim after sunset of Erev Rosh Hashanah? One may perform Hataras Nedarim even after sunset, during Bein Hashmashos, up until nightfall [Tzeis Hakochavim]. However as writes Admur in the Siddur it is initially to be done before midday. 7. Who is to stand and who is to sit during Hataras Nedarim? The custom today is that the individual requesting the annulment remains standing while the judges remain seated throughout the process. 8. If one did not do Hataras Nedarim on Erev Rosh Hashanah, when is it to be performed? It is to be performed during Aseres Yimei Teshuvah. 9. If one does not understand the paragraph being read should he read it in a different language? Yes. One must read the annulment of vows in a language that he understands. It is invalid if one read the Hebrew Nussach thinking it is some kind of prayer or supplication and did not understand its meaning and purpose. 10. May more than one person at a time read the annulment? It is permitted for the tribunal to annul the vows of multiple individuals simultaneously. Nevertheless initially there should not be more than one person at a time reading the request for annulment. However in a pressing situation one may allow multiple individuals to read the request simultaneously. In such a case the tribunal is to recite in the Nussach of annulment “Mutar Lachem” in plural. 11. Of what age are the members of the tribunal to be? They need to be above Bar Mitzvah and must already have a beard. However some write that regarding the Hataras Nedarim performed on Erev Rosh Hashanah, this is not necessary, and as long as the person annulling the vow is Bar Mitzvah it suffices. 12. May the members of the tribunal who annul the vow be relatives of each other? Yes. They may also be a relative of the person asking for the annulment. 13. May women be part of the tribunal to annul vows? 14. May a husband or father be part of the tribunal to annul the vow of his wife or daughter? A husband cannot serve as part of the tribunal of judges to annul the vow of his wife. However a father may serve as part of the tribunal to annul the vows of his daughter. 15. Should one strive that the members of the tribunal who annul his vow have already said their annulment? Some are particular to only have those who already released their vows come along and release the binding of one who is still bound. However many are not particular in this and on the contrary they are zealous to be the first ones to release their vows. The Rebbe’s custom was not to be particular in this matter. 16. Must one particularize the vows that he is requesting to revoke? Must one mention all the details of the vow: One must mention all the details of the vow that he originally verbalized in order for the tribunal to properly know if it can be annulled. However regarding the reason and inner motivation behind his making of the vow-see next! 17. Which vows are allowed to be revoked by the tribunal? Not all vows have the ability to be revoked by the tribunal. Such vows hence remain intact even after performing Hataras Nedarim. Thus in a case that one remembers a vow that he made [and thus mentions the vow to a member of the tribunal], the people annulling the vow must know the laws involved in whether such a vow may be annulled and how to do a Pesach and Charata for the vow, as will be explained next. 18. How is a vow revoked? The person requesting the annulment must regret the vow from the time of its initiation. This means that he regrets ever having made the vow. This is called Charata. If he does not regret the vows initiation and simply regrets its continued validity then the annulment is invalid. In such a case the judge is to find a Pesach [i.e. convincing argument] for the asker. This is done by asking him “If you would have known that this and this would occur would you have still made the vow?” If he answers “no” then it is a valid Pesach. He is then to also be asked if he regrets making the vow to begin with. Practically the custom is to be stringent and perform a Pesach even when the asker expresses regret for the vow. Thus after he expresses his regret the judge is to ask him “If you would have knows that this and this would occur would you have still made the vow”. Must the judges be told the reason that one regrets the vow? It is proper that the judges be told by the asker the reason that he regrets the vow. Being truthful: The person requesting the annulment must truthfully regret having made the vow to begin with. If he does not regret it from its initiation but tells the judges, upon being asked, that he regrets it from that time, the annulment is invalid and the vow is still in effect. Some Poskim rule one may never revoke a vow that was made regarding a prohibition. This applies even if one made the vow over a Rabbinical prohibition. If a tribunal transgressed and revoked the vow it is disputed as to whether the revoking is valid. Others however rule that if the person cannot control himself from transgressing the prohibition, and hence not revoking the vow will cause him to transgress it, then it may be revoked. Practically one is to contact a Rav regarding if the vow may be revoked. It is explained in Gemara and Poskim that one can only ask for the revoking of a vow that relates to himself, such as one who vows to eat or not to eat and the like. However that which one swears to a friend or to one who makes him swear then it can never be revoked. 21. 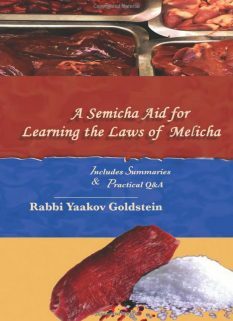 Nidrei Mitzvah-When does a Chumra or custom require Hataras Nedarim? If one performed a Chumra one time with intent to continue doing so forever it has the status of a vow. If he performed the Chumra or custom three times it is considered a vow even if he did not have in mind to do so forever. For this reason whenever accepting a new Hiddur, Chumra, or custom one is to explicitly state that he is not accepting this upon himself as a vow, and he is only doing so one time or whenever he decides. In a pressing circumstance: See Piskeiy Tehsuvos 568/4 If a circumstance came up in which it poses difficulty for one to keep his Chumra, Hiddur, or custom, then if it is unusual to accept this Hiddur even in such circumstances, then one is not required to perform Hataras Nedarim. Thus if one feels weak on an annual personal fast day that he accepted upon himself, such as Erev Rosh Hashanah, he is not required to fast and is not required to perform Hataras Nedarim. A mistaken custom or Chumra: If one thought that a certain matter was required from the letter of the law and it then became revealed that it is permitted, it is disputed as to whether it is required to be revoked. Practically the custom is to be lenient and not require Hataras Nedarim. Thus if one followed a certain practice due to doubt and later on verified that it is not necessary, it is not required to be revoked. Likewise, if one thought the matter was very severe and then discovered that it is not so severe, he does not require Hatara. May one appoint an emissary to annul a vow for him before three judges? A person must personally appear before the judges in order to have his vow revoked and he cannot appoint an emissary to do so in his place. The only exception to this rule is regarding one’s wife as explained next. Appointing one’s husband as an emissary: One’s wife may appoint her husband to nullify the vows for her, having the husband mention this during the annulment. Nevertheless in such a case the husband may not assemble a tribunal specifically for the purpose of annulling his wife’s vows and rather only if they are already assembled can he act as an emissary to do so. No other woman, including one’s daughters, may appoint a man to nullify the vows for her, and rather she must do so herself. The husband cannot serve as part of the tribunal of judges to annul the vow of his wife. This applies even if his wife appears before the tribunal and hence the husband is not acting as an emissary. 24. Are all one’s future vows invalidated due to the stipulation made by Hataras Nedarim? This depends on whether one remembered his stipulation at the time of the vow. If one remembered the stipulation made during Hataras Nedarim at the time that he said the vow, then the vow is binding and not considered annulled. Furthermore all future vows from that point and on are considered valid even if he did not remember the stipulation. If however at the time of saying the vow one did not remember the stipulation, then in such a case it is considered null and void. Nevertheless one may only rely on this stipulation to invalidate his vow in a pressing situation. In a non pressing situation one must seek a Beis Din to annul the vow. 1. The nullification is only valid for vows he made between him and himself. However those vows that were sworn to him by another person [Al Daas Chaveiro] cannot be annulled [without permission]. Likewise future vows of this sort cannot be stipulated on. 2. Regret: The person requesting the annulment must regret the vow from the time of its initiation. This means that he regrets ever having made the vow. If he does not regret the vows initiation and simply regrets its continued validity then the annulment is invalid. In such a case the judge is to find a Pesach [i.e. argument] for the asker. This is done by asking him “If you would have knows that this and this would occur would you have still made the vow?” If he answers “no” then it is a valid Pesach. He is then to also be asked if he regrets making the vow to begin with. 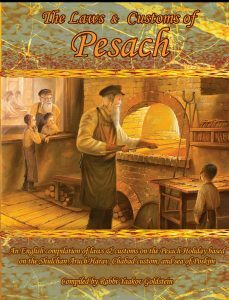 Practically the custom is to be stringent and perform a Pesach even when the asker shows regret for the vow. Thus after he expresses his regret the judge is to ask him “If you would have known that this and this would occur would you have still made the vow”. 1. Gather three Jewish observant men that are above the age of 13 and have begun growing facial hair. 2. Tell one of the judges the vow that one wishes to revoke. Reasons mentioned for this custom: The reason why we annul all previous vows is in order to save oneself from retribution for not keeping a vow during the judgment of Rosh Hashanah. [Chayeh Adam 138/8; Kaf Hachaim 581/99] The custom for stipulating on future vows is based on the Gemara [Nedarim 23a] that one who wants to annul all of his vows of the future year is to perform Hataras Nedarim on Rosh Hashanah. From this spread the custom to say Kol Nidreiy on Erev Yom Kippur, although Zerizin Makdimim and do so already on Erev Rosh Hashanah. [Shlah beginning of tractate Yuma]. The reason: There is no known source for why the vows are to be annulled prior to midday. Some suggest the reason for this is due to Zerizin Makdimim Lemitzvos, as is written regarding Bris Mila [See Pischeiy Teshuvah 262/2] Alternatively it is because it is not befitting to receive Nezifa after midday when the holiness of Rosh Hashanah has begun. [Glosses of Rav Raskin on Siddur p. 503] To note however that practically it is not our custom to recite Seder Nezifa, and hence this reason is not applicable today. Teshuvos Vehanhagos brought in Piskeiy Teshuvos ibid. His reasoning is because since one is not particularizing his vow it is therefore not similar to the Biblical annulment which requires people to have a beard. ibid in name of Rav Shneur Zalman of Lublin, the Toras Chesed. Michaber 228/14; Shivlei Haleket 317; Regarding Erev R”H: Derech Hachaim 138/1 [Nesiv Hachaim does not write a gloss on this ruling]; Alef Hamagen 581/102; Piskeiy Teshuvos 581/17; The law that one must particulate a vow is mentioned in the Nussach of Hataras Nedarim brought in Shlah ibid; Siddur Admur. Pashut as that is the entire reason behind mentioning the vow, as explained in the sources brought in Background. See Pischeiy Teshuvah 228/2 that permits revealing the vow even to a child above Bar Mitzvah even if it is unknown whether he has two hairs. Michaber 228/14 [as is simply understood by Perisha; Shach; M”A]; Perisha 228; Shach 228/25; M”A 128/58 in his first explanation and that so is the ruling of the Rashba. Taz 228/19 [in his explanation of the Michaber]; M”A ibid [in his final explanation] based on Tosafus Erechin 23; Yad Yosef 228/21 [Vetzaruch Iyun on his understanding of the Shach ibid]; See the Yad Yosef ibid; Degul Merivava 128 ibid for their question against the proof of the M”A from Tosafus. Ruling of Admur: It is implied from the wording in Admur 128/52 that one is not required to verbalize the reason of the vow, as rules the M”A ibid. This is understood from the fact he simply states that the reason we require a Kohen to make a vow “Al Daas Rabim” is because otherwise he may go to a Chacham and request the vow to be revoked. Now if Admur held that one must mention the reason behind the vow this would be of no worry as the Sage will not revoke the vow when he hears of it. Now although the M”A ibid explains how this reason complies even according to the opinion of the Rashba and Michaber, nevertheless no hint towards this explanation is made in Admur, hence proving he holds like the custom that one is not required to mention the reason of the vow. “So is the custom”: so writes the Perisha ibid; Shach ibid; M”A ibid. The M”A ibid defends this custom of the world saying we follow Tosafus. However the Perisha questions it while the Shach ibid concludes “One who knows the reason for his vow must verbalize it and if he does not do so he is a sinner and one cannot bring proof from the Shotim”. Meaning the Shach says that those that are accustomed not to mention the reason are simply ignorant and no proof can be brought from them that the custom is to be lenient. Definition: Nidrei Issur refers to a vow made over a matter that the Torah has already forbidden. Such as one who vows not to gamble, even though the Torah has already forbade gambling. Michaber ibid records a dispute on this matter. Although the Rama ibid is lenient as stated above, nevertheless the Shach 228/27 brings Poskim that argue on the Rama and conclude that only in a case that one is does not do the sin for a living does it help to revoke the vow. However one who transgresses this sin constantly as his occupation, such as one who gambles, then the vow may not be revoked. Many Poskim conclude like the Shach ibid against the Rama. [See Chochmas Adam 100/10] Others however rule that the main opinion follows the Rama ibid, as in a case that one is unable to control himself it is considered like he is forced into the sin, and in such a case we apply the rule it’s better that one transgresses and revokes the vow on his friends behalf in order so the friend do a lesser sin. [Yad Shaul 228/19-Rav Yosef Shaul Nathenson] See also Atzei Levona in name of Beis Lechem Yehuda that if one made a vow to gamble because it leads to promiscuity with women then the vow may not be revoked even if he cannot control himself. Regarding swearing to a friend, such as swearing to him that he won’t leave the city and the like see Yoreh Deah 228/20 for those cases in which one may have the vow revoked, such as if he gets permission from his friend and cases in which doing so is not necessary. 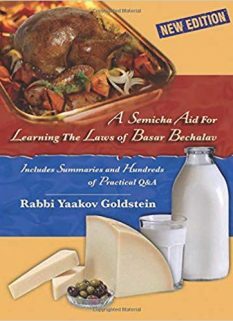 Opinion of Michaber and Shach: The Michaber 214/1 rules regarding the Hiddur of fasting during Aseres Yimei Teshuvah, that even if one became weak, he is required to do Hataras Nedarim. The Shach 214/2 explains that the reason for this is because only those circumstances that are publicly known not to be included within the Hiddur, such as eating during a Bris Mila during Aseres Yimei Teshuvah, do not require Hataras Nedarim. However an unexpected circumstance is included in the Hiddur and thus requires Hataras Nedarim. The Degul Merivava ibid argues against the Shach’s explanation, and says the Michaber’s ibid ruling referred to a case that due to weakness the person wanted to revoke forever his custom, and for this everyone agrees that Hatara is required. First and Stam opinion of Michaber ibid is that it does not require Hatara. However he then brings a second lone opinion [Rashba and Ran] that rules it requires Hatara. The conclusion there is that the custom follow the first opinion. Conclusion of ruling of Michaber in parentheses. As only by a wife is the rule of Ishto Kegufo applied. Michaber ibid; The Michaber ibid however brings an opinion [opinion in Rambam Nedarim 2] that rules the vow is only invalidated due to the stipulation if one remembered the stipulation after making the vow, within the amount of time of Kdei Dibbur, and he explicitly thought in his mind to rely on the stipulation. The Michaber concludes that one is to suspect for this opinion. The Taz 211/3 however argues that according to all the stipulation is valid even if one remembers it much later on, after he made the vow, so long as he decides to validate the stipulation within Kdei Dibbur of remembering it. The Nekudos Hakesef however argues on the Taz and defends the understanding and ruling of the Michaber in the Rambam. See Birkeiy Yosef 228/2 that brings from the Shut of the Beis Yosef Avkas Rochel 176 that he does not suspect for the words of the Rambam at all. However here in his Shulchan Aruch he suspects for his opinion. See Yoreh Deah 228/20 and for the cases of exception mentioned there!